Well I won't bore you with a long intro so I will get straight to it. You're GUARANTEED to get FAST upvotes by doing one simple thing, its that easy. Join a community on Steemit. By joining a community, you will be able to network with other like minded people. Who are these like minded people ? Everyone who is in a community that are already upvoting each other, would qualify as " like minded" wouldn't you agree ? Just having followers is not enough. Most people are on Steemit to make some crypto currency and spend a great deal of time trying to get upvotes themselves. That doesn't give much time to view or even notice your posts, among so so many others. In a community you belong to a group and become a valued and cared about member. When people care and value you, they are going to pay you the respect of taking notice of the hard work and effort that you have poured into your posts. You will find everyone wants upvotes and when you join a " good " community they will follow , view, resteem and most importantly UPVOTE YOU ! So who are these communities? Whats their names? ...you may ask. Well not all communities are the same. Some are good and some are bad, which leaves you with the dilemma of how do I know which community to join. You need a community that is growing fast, is new and interesting and most importantly VERY ACTIVE on Steemit . GOOD management is the key to a successful community, without it the community will wither and die very quickly. You're probably scratching your head now and thinking, this is going to be hard after all. Well no it isn't because I can save you a lot of time and misplaced trust. 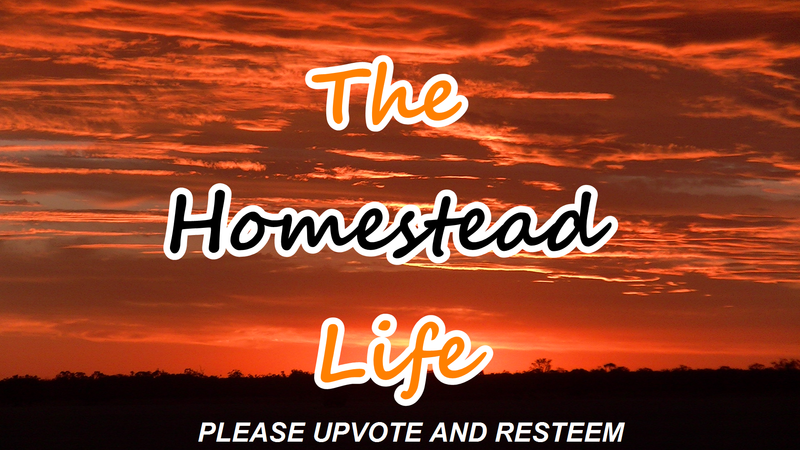 You can join The Homestead Life Community. You don't need to be a homesteader. The Homestead Life is for EVERYONE. As with any community we need all kinds of people, with all kinds of interests. The Homestead Life has all the previously mentioned qualities and many more. To apply, simply leave a comment stating clearly that you would like to join, on this post and you will be placed on the application list. The Homestead Life is a kind and friendly community, and we would like it to stay that way. You will be notified as soon as that process is completed. (leaving a comment and resteeming this post), or when I next log in. We look forward to receiving your application so don't hesitate to get the UPVOTES you need. Please RESTEEM THIS POST and that will go a long way to showing your going to be a valued THL member. Please place THL on your posts, so that all the #THL members can see your post nice and easy. We like to go to the #THL tag befor going anywhere else, so that your recharged steem power can be used on members before you deplete it elsewhere. If you are an existing member it would help greatly to resteem this post as well. The more members we have the more upvotes we will receive. Respectfully request to join the group. I have been referred in by @saved4newlife. I look forward to interacting and bringing value to the group. I will use the THL tag in my posts. This is a great idea by the way. Nothing like a thumbs up from Godzilla. Lol. I'd like to try it out. Maybe my group and your group can work together on sharing ideas and votes. I think that is an awesome idea @solarguy, but I am not the head honcho around here. Could you please tell us a little more about your group? Sounds good mate, what is your group called?, and what are your thought on how we can combine efforts ? I got a group on mobile App called WeChat, it's like Whatsup. Got about it's got about 50 in the group interested in Steemit as authors and curators. Though about 22 have active posting accounts. We banter and talk about stuff and link our articles and vote for each other as much as we . All sounds very interesting , but i have to be honest with you, i'm not really into chat rooms, i just don't get the time to do it. I would not be able to stay long enough to meaningfully contribute to the conversation. We would love to have you all come join in the THL community though. You all would be welcome. Any assistance you could give to the community would always be welcome, especially your knowledge about steemit. Thanks for joining in, this is the link to the first member post so you mitght like to read that, and see who all the other members are and who our community Mayor is. If you have any questions, just leave a comment on that post and I will do all I can to help you out. If you have a special skill, we would love to learn about the topic from you. You can be a leader in that topic and help us all benefit from it. Hi! This sounds like a good thing! I would like to join the homestead life. Just resteem this post, follow me and the posts that you do from now on, will need the thl tag on them for the THL tag page. Keep an eye out on the thl tag page for the member and THL bulletin updates. I did upvote and resteem already. I'll remember the tag. Can you please tell me what a tag page is? When you create a post you put tags on it, the tag thl will place your post on a page that has all the posts that a community member has tagged with thl. The posts all show up on that page. At the bottom of this post you are now commenting on, you will see the tag thl, click on it and you will go straight to the THL tag page. Cool i will put you on the member list. I have been a bit sick so the member posts have been delayed. all the posts for the community go on the THL tag page so just click the THL tag on this post and you will go straight there. Hello Graham! I am quite interested in the subject, so I would like to apply. THL, I am in if you want me. Yes it will be very nice to have you with us brother, I was hoping you would want to join. Is there any chance i can get your email?, I have a personal question i would like to ask you. sent you mail, you can delete your email now. We would love to have you. thanks for joining in, this is the link to the first member post so you mitght like to read that, and see who all the other members are and who our community Mayor is. I would like to join, this sounds like a great way to find like minded people and help the community. I'd love to be part of THL. Looking forward to learning from you all about being more self sufficient. Very happy to have you. Your now a member. I will be interested to see you posts. I would love to give this a go! Remember to use the THL tag. I had no idea this group existed. I live on a homestead with my family so I look forward to seeing what the group puts out. Happy you found us. your now a member. Will do and happy to be here! Not a member of any groups yet, but I would like to join this one as homesteading is one of my interests. 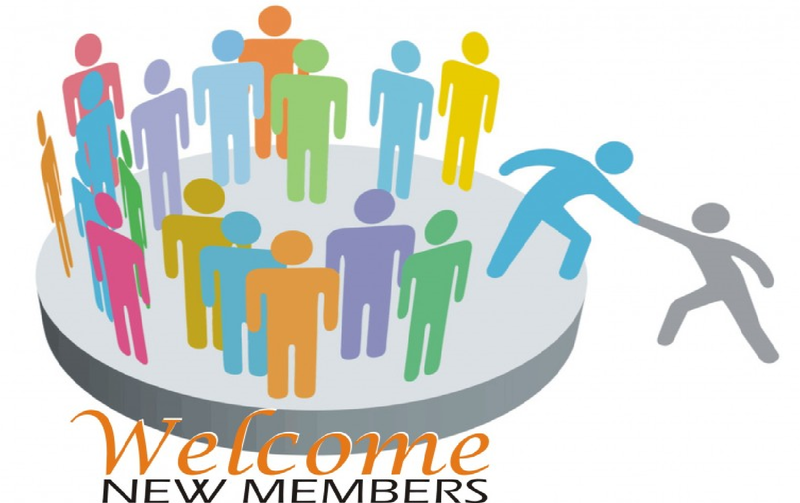 Thank you for joining the THL community and welcome, i see you've completed the requirements to join, so you are now a member. Be sure to place the THL tag on your posts, so the whole community can see your posts nice and easy on the THL tag page. If you need any help, just let me know , or you can ask any of the other members, as they are all willing to help you. If you go to this link you will see a list of all the members and you will be able to follow them all. That way you will know who the members are. It make steemit much more fun. ps. yes, please sign me up.. upvoted and resteemed. already following u. Yes I remember you following me, and we are happy to you have decided to join us. You are now on the members list. I have edited the post so you may want to take another look and see the changes about using the THL tag. This is an automatic message. According to SteemData, you have now used #introduceyourself 4 times. You might not be aware of this, but #introduceyourself is mainly used by new accounts, to introduce themselves once. Please consider other, appropriate tags. Yes thank you, I was using an auto function on my computer to place the tags in the tag box, it was placing the introduceyourself tag in. I have now changed it. I apologize of any error on my behalf . I would like to join, thanks. I would like to be part of THL community, thanks. Welcome, looks like you have completed all the tasks, so now your a member. Be sure to place the THL tag on your posts, so we can all see your posts nice and easy. Well you know I am here and you have my up-vote and re-steem. This is a great community and I would love to see it grow more. Nice post mate!! im new to Steemit, so this might be something for me, i'll try to post something everyday. how to i join? just use the #thl as the first tag? or do i need to do something else? I try to follow anyone that has followed me. I would like to see you do some posts. Thank you i hope you have fun. You will need to resteem this post to complete your membership tasks. just comment here again so I know your all done and you will go straight on the members list. I'd love to be a member of this community... I'm new to Steemit, and was hoping to find like minded folks here. Now, I just need to learn how to post & embed my YT vids and I'll be able to contribute! Working on following all the members on the list now... Thank you for putting all this together. Your very welcome and we are happy you have come to join us. With you YT videos, just copy the URL and paste it to your post, it will instantly pop up on the preview page below your new post. Be sure to put THL in you tag box. not the first one, just 2nd or 3rd. If there is anything else you need just ask me or one of the members and we will all be happy to help you. I will put you on the members list and let everyone know that your now a member. I am not sure If I am already a member but the Homestead life is on of my most favored groups. I'm getting ready to start all the community functions, now that i'm not so sick with the flu. I will do a member post very soon to update every one on whats going on with the community. Take care of your precious self first. We can wait. I'm very interested in joining! We would be happy to have you join us. Just resteem this post and you in. Welcome to the community and please, if you could remember to put the THL tag on your posts, so we can all see your content nice and easy. We like to go to the THL tage page first, to see what is posted, and use our high steem power on fellow members first, before we deplete our steem power on non members. Thank you for being a part of the community, we look forward to seeing all your quality content posts. Gee... would you be able to tell me how i can remove a resteem ?